For now, Pokémon GO Roselia is just another Pokédex filler. Roselia max CP of 1718 is simply disappointing. Its offensive stats are slightly above the average with ATK (186). Its defensive stats are very low. Now here’s the kicker: Roselia’s evolution and baby form are coming in the Fourth Generation!! In other words, that 1718 CP, perfect IV Roselia has a great potential to grow. Roselia is known to live in grassy areas rich with water. In Pokémon GO, you can encounter Roselia in Grass, Forest or Water-edge biomes. It loves both Sunny and Cloudy weather due to its dual type. 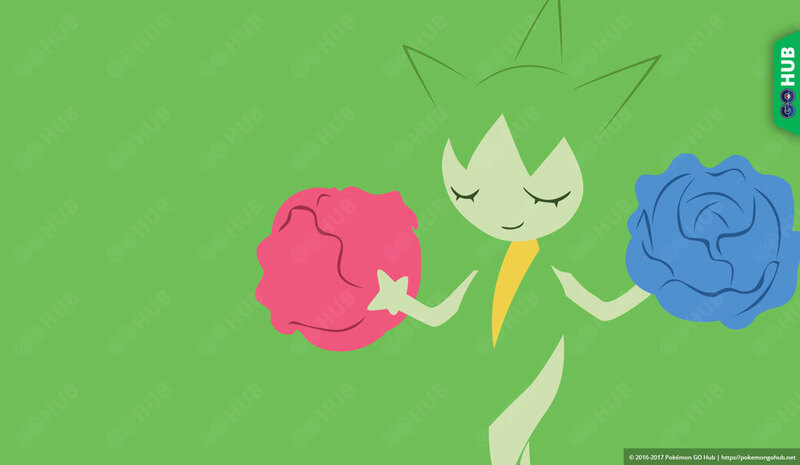 Roselia is pretty much a teaser for its evolution – Roserade, which will be released on the Fourth Generation, along with its pre-evolution Budew. Roselia on its own will not be making any waves, unfortunately. Its max CP does not even even reach 2k, and its stats are very weak. Actually, up until the Third generation, Pokémon GO Roselia is the weakest of all other grass / poison type. At this point, Roselia has nothing against these other grasspoison type Pokémon. Roselia is outranked on CP, and all other stats. Until its evolution is released with Pokémon GO Gen 4, Roselia stays in the low end of ranks. Roselia’s best moveset is a solid one, benefiting from STAB and with above average DPS. However, due to Roselia’s weak stat, the potential of this moveset is wasted. Quick moves are extremely good on this Pokemon since both benefit from STAB. Razor Leaf has a bit higher DPS by itself, but Poison Jab gets more Energy and it is better option. Sludge bomb is simply best charged move because with both Razor Leaf and Poison Jab it gets highest DPS. Second option is Petal Blizzard. A normal Roselia has green color on most of its body. It has yellow head with three thorns, a yellow leaf on its front, and two yellow shoulderpad-like structure. It also have a red rose on its right hand and blue rose on its left hand. A shiny Roselia in Pokémon GO has cream color on most of its body. It has a gold colored head with three thorns, a gold leaf on its front, and two gold shoulderpad-like structure. It also have a royal purple rose on its right hand and a gray colored rose on its left hand. Roselia made its television debut on the 307th episode of the Pokémon series (Advanced Generation: Episode 33) titled, “Now That’s Flower Power”.